What are the mental benefits of floating? Floatation therapy is carried out by allowing one to float in a float tank which is filled with warm salt water. This therapy has a lot physical and mental benefits for people from all backgrounds and age-groups. Research has demonstrated that one’s mood can be positively enhanced with floatation therapy. It happens due to the elevated levels of dopamine and endorphins which are achieved during the therapy. During floatation, the amygdala switches off which lowers the anxiety in the brain. 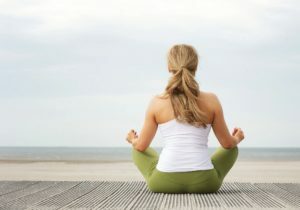 The meditative state obtained by floating helps people enjoy the benefits of meditation even if they aren’t experts at meditation. Overall, floatation therapy eliminates fatigue and jet lag, improves sleep, promotes calm and peaceful relaxation and alleviates stress. It also helps in reducing anxiety and fear by increasing motivation. There are proven studies to support the fact that floatation also helps one get over phobias and addictions. This therapy energizes, rejuvenates and revitalizes. There are many mental benefits of floating. It decreases stress by making one feel relaxed and rested. It is also beneficial in treating addictive and behavioral disorders. Here are a few more mental benefits of floating. While research may be thin on floatation therapy, personal testimonials indicate how they have benefited people to deal with a range of physical and mental issues. It really all depends on who you’re talking to when you’re talking about floating. Some of the cross fitters tell us it is awesome for muscle recovery, the teachers are all looking for an adult time out (parents too), some folks are hoping to see colors, some people are into it because Tim Ferris says it’s cool or Joe Rogan said you have to try it or Tony Robbins does it, and they’re all good reasons, but a lot of people are floating for one reason, stress. 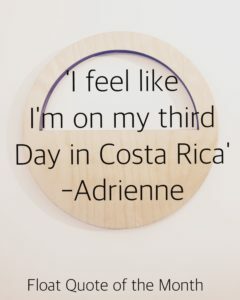 There has been a couple common themes we’ve seen at Easy Float over the past 6 months or so, everyone reports that all floats are different, that’s consistent, and pretty much everyone has told us they are stressed. And some stress is good stress, can’t stress that enough, but the generalized anxiety type of stress that causes you to wake up every night at the same time like clockwork is not good stress. We get meet a lot of very cool people at Easy Float and we like to ask why did you decide to try floating? and there is pretty big percentage of people that will tell us that they heard it was good for stress and they are desperate to get some sleep. We know float tanks sound crazy, and we’re not offended by the term sensory deprivation tank and Altered States the movie. The reason we’re going deeper into flotation is because less generalized stress in a population is a good thing, you don’t have to be stressed to be working and when you’re not stresses you become better at whatever you’re working on. Give floating a try for whatever your reason is, and we hope you love it, but if you don’t that’s ok too. A lot of folks come into Easy Float to ask just what the hell is floating, and there are definitely a few ways to answer that. I prefer to go off on several tangents about hyper-connectivity in the brain because I read the book Stealing Fire and the Time article below and caught Dr. Justin Feinstein‘s talk at last year’s float conference and I only recently learned how to pronounce the word amygdala; but I always end with it’s just salt water and darkness. Obviously there’s a lot of super positive meditative type stuff going on while in a float, but really it’s just salt water and darkness, and the less you try, the further it will take you. Joe Rogan has been utilizing the float tank for more than a decade(I think), and has encouraged many people to give this float thing a try. Rogan is a float tank industry favorite and here’s why. Hey Joe, you should think about making it to the conference in August. I found the following questions online when googling about the benefits of floating, and thought it couldn’t hurt to provide the Easy Float answers to these questions here. And if you’re looking for our answer to the benefits thing, click here to check out the Easy Float bennies page. What is an isolation tank? -An Isolation Tank is the same thing as a float tank. A lot of people still refer to floating as sensory deprivation and to float tanks as isolation tanks, we’re cool with all of these terms. A float room or cabin is a float tank that you can stand up inside, a float pod is a float tank where you close a lid and it is kinda dome shaped. There are basically float cabins/rooms, open float pools, pods (just like you’re picturing in your head), and float tanks (kinda coffin shaped), but really when you add 10 inches of water and 1,000lbs. 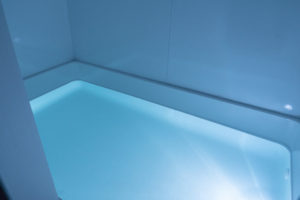 of Epsom Salt you have a float tank, they’re all tanks. To be clear, we like all of the above options for float apparatus, as long as it’s clean, salty, and dark, it’s good to go. What is a floating session? 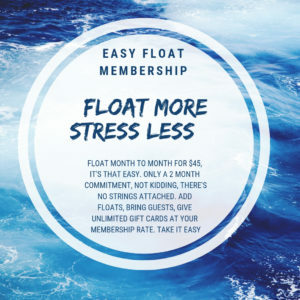 -So often Easy Float is mistaken for a white water river floating company, and we’re working on that, but really a float session is like an adult timeout. It is a space created to allow you to let go. When we reduce enough distraction the mind slips into the theta brainwave and quiets the connection between the prefrontal cortex and the amygdala, shuts off the self from the flight or fight part and reduces stress and anxiety, hopefully. Again, a float session is just relaxing for 90 minutes in super salty water in the dark, it’s definitely relaxing. How much does it cost to build a sensory deprivation tank? -It’s pretty spendy and the amount of salt in there isn’t cheap either. By all means go for it if that’s what’s calling you, but I definitely recommend coming in for a float first and we’ll be happy to talk about what goes into building a float tank, heck we’ll build one for you if you want us to. See answer to the isolation tank question above. 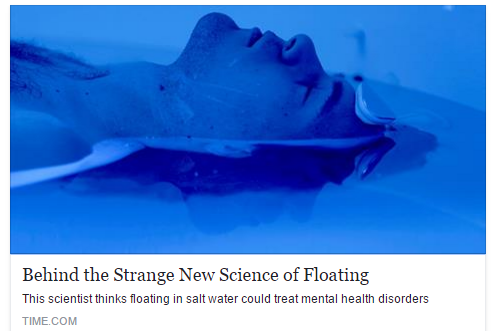 Here’s another reason to float! How About All That Floating? Easy Float is Dedicated to Delivering the Absolute Best Float Experience, and it has been going great. We have had the pleasure of floating a bunch of very cool people in our first couple months and we are excited to continue providing flotation in Denver. We often have described the purpose driving the creation of Easy Float is to provide the Absolute Best Float Experience, and it is, but let’s talk about why we want to provide the float experience in the first place. Stress. We fully acknowledge that stress is a necessary and unavoidable part of life, but we also realize that too much stress makes life miserable. Floating has many benefits and a lot of folks are utilizing flotation for a variety of different reasons, but we are excited to provide floating as a way to reduce stress. By going into a float tank for 90 minutes to have all the distractions of life reduced, we are able to take the adult time out, to get off of your phone, and hopefully slip into the Theta Brain Wave for at least a short amount of time. When you get there, it’s a great time out and floating into the theta state will hopefully get you a couple days of calm so that you can take on the stress of life. Basically, the benefits of floating are great, whether you’re into the physical benefits of being weightless and surrounded by Magnesium Sulfate for 90 minutes or you’re floating for the chance to take a look behind the door in you mind, we are here for you to take the adult time out that everyone deserves. Thanks for Floating. There are so many excellent reasons to float and here’s one more! The Float Quote of the Month! We’re really excited to get feedback and love it when our float people let everyone know how excellent the experience is! Keep floating! Insomnia. That was what took me from total skeptic to fervent believer in the benefits of floating. After trying everything from Valerian root and Melatonin to Tazodone, the isolation tank is the only thing that alleviated my ‘fall asleep, but can’t stay asleep’ insomnia. And it turns out I’m not the only one out there struggling to get their Z’s; according to sleepeducation.org, millions of Americans are experiencing a lack of quality sleep. Without getting the sleep needed, people suffer from fatigue, inability to focus, poor memory, and mood disturbance, to name just a few of the negative impacts from chronic insomnia. CDC data suggests that about four percent of U.S. adults used prescription sleep aids in the past month. Like any other drug, sleep medications have side effects and risks. The good news is that floating regularly can make a significant improvement to sleep, and also reduce blood pressure and stress. Easy Float was really created with one goal in mind, provide everyone the absolute best float experience. 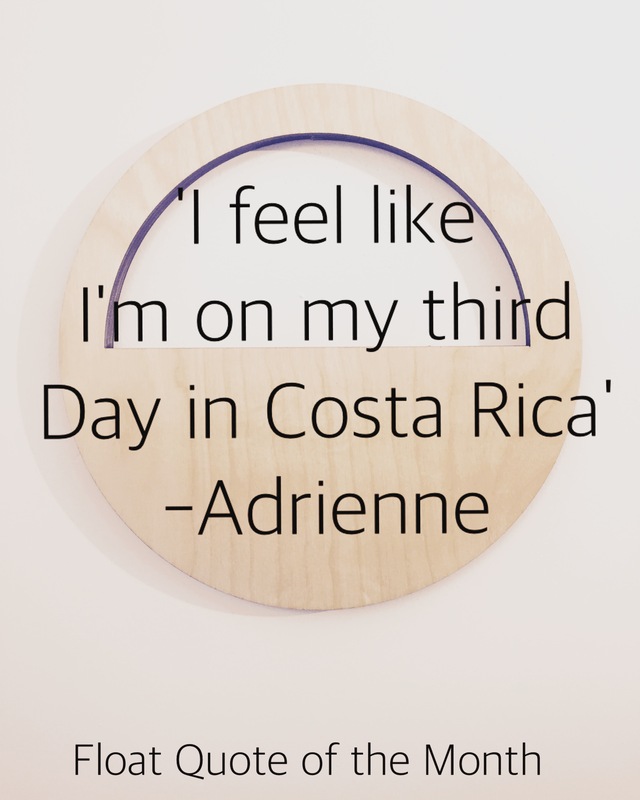 I know it sounds weird and that the thought of an isolation tank or sensory deprivation tank can sound just a little too out there for some, but floating is definitely a ‘don’t knock it till you try it’ type of thing. I was a huge skeptic, but getting amazing sleep after my first float has made me a believer. Floating is making a massive comeback and there are a number of people utilizing isolation tanks for a wide variety of reason. The benefits from floating range from improved sleep and reduced stress to increased creativity and accelerated learning. High performance athletes are now floating regularly to improve focus and recover quicker. Navy Seals are utilizing sensory deprivation tanks in what they are referring to as a ‘mind gym’ to cut the time it takes to learn a language down from 6 months to 6 weeks. There is also extensive research being done by Dr. Justin Feinstein at his Float Lab at the Laureate Institute for Brain Research (LIBR). Featured in TIME, the work being done at the Float Lab in Tulsa is continuing to produce remarkable results. By utilizing EEG’s and fMRI machines, Feinstien and his team is finding the effects of flotation are resembling similar effects of SSRI’s, float participants are achieving a prolonged theta brain wave state which can reduce the hyper-connectivity where stress, anxiety, and depression reside.